On 23 May 2017, INSEAD conducted an Executive Luxury Workshop at the Arab Luxury World Conference in Dubai on the topic “Disruptive Innovation & Luxury: Ideas Implemented”. The Arab Luxury World conference is an annual two-day summit that provides unique discussion platform and gathers world class speakers and business executives to reflect on the major disruptions and innovations expected to shape the future of the luxury industry. INSEAD is one of the leading global business schools from which Martin Roll holds an MBA. 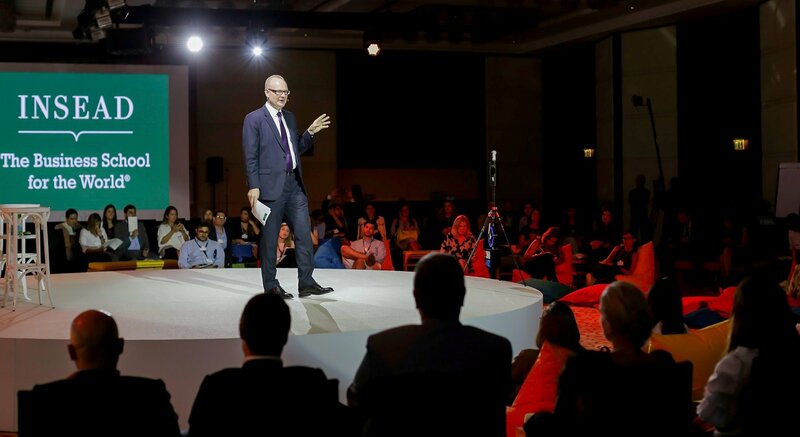 Martin Roll contributed as moderator and host for the three-hour workshop, which was structured on interactive business case studies, including Tag Heuer Connected Watch, UAE as the World’s Hub for Innovation and Creativity, and Best Practices to Embrace the Digital Revolution. The objective of the INSEAD Executive Luxury Workshop was to create a constructive environment for speakers and attendees to brainstorm and find ways to create value for both customers and business stakeholders. In the digital age today, third platform technologies like social media, cloud computing, mobile technology, and big data analytics are increasingly being used by luxury brands to reach consumers in both strategic and surgical ways. As a result, luxury brands must become masters of storytelling to attract, convert, and retain customers. In the environment when bricks have been augmented by clicks, finding the “tweet spot” requires a good understanding the DNA of the brand and turning the stories into emotional experiences that build loyalty, patronage, and referrals. With more informed consumers however, brands must be prepared for an audience that is also able to use technologies to conduct in-depth due diligence of the products and services in an open, public manner, and to make critical judgments in ways that can enhance or denigrate a brand’s ability to attract customers. Combining storytelling and technology requires brands to understand the power of the technology with knowledge of which stories appeal to which audiences.